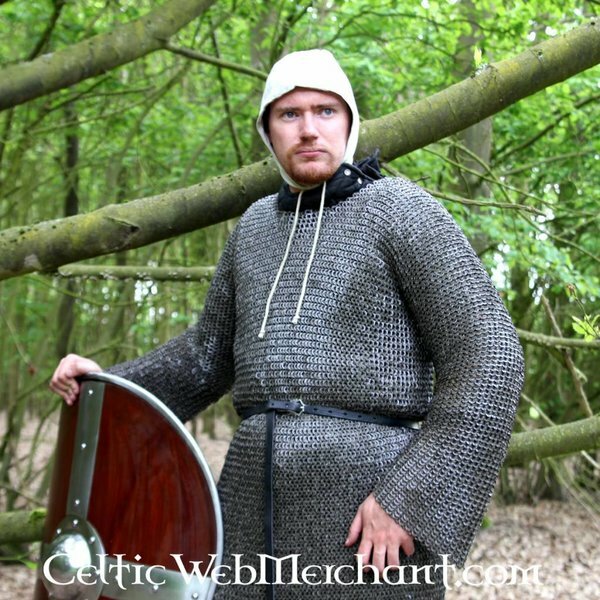 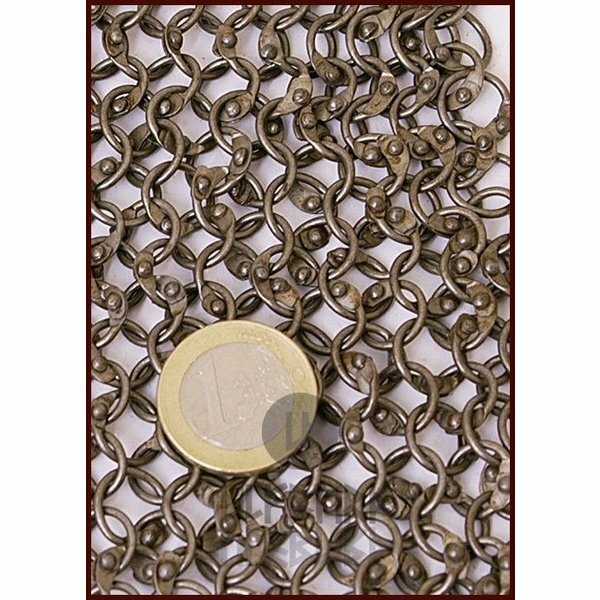 This hauberk is made of 1,6 mm thick round rings with an inner diameter of 8 mm. 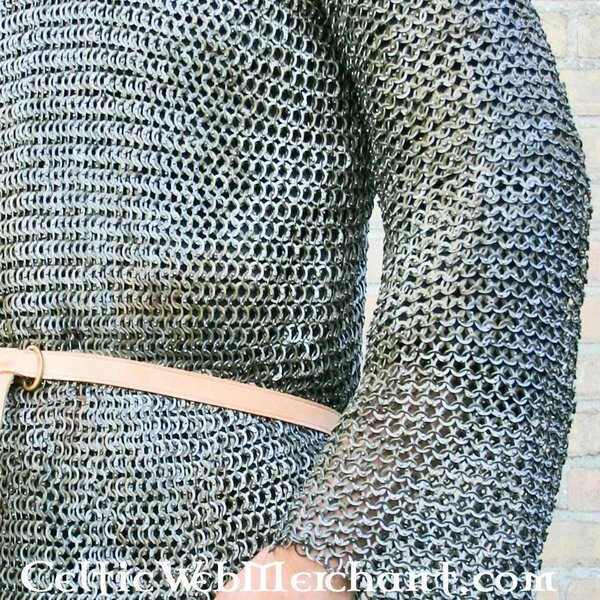 The rings are woven four in one and subsequently riveted with round rivets. 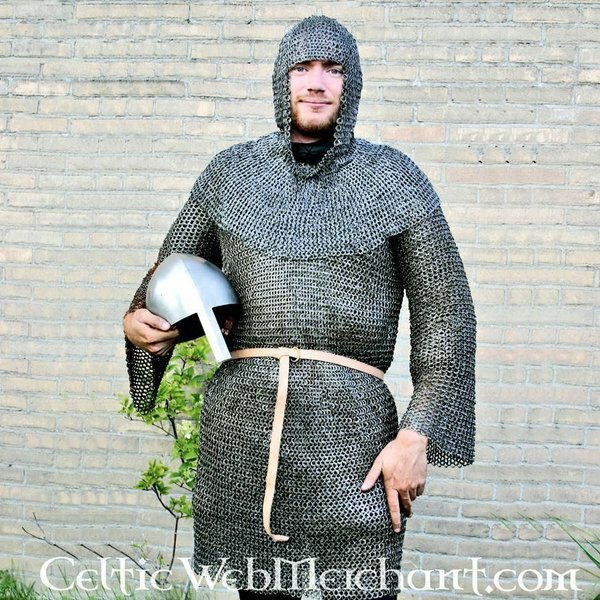 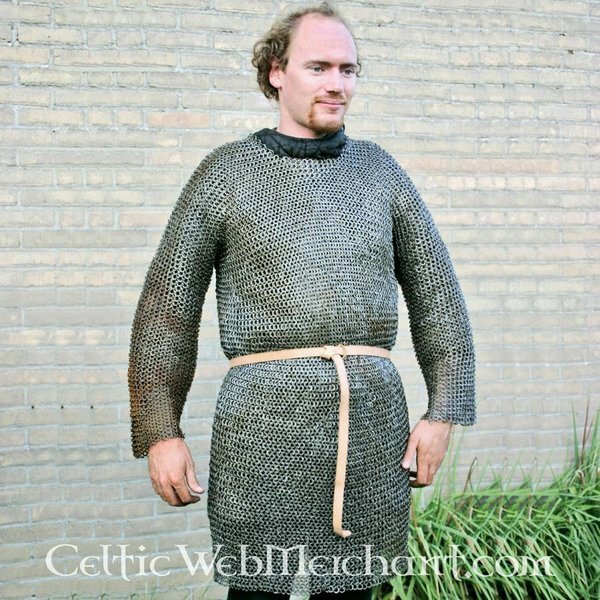 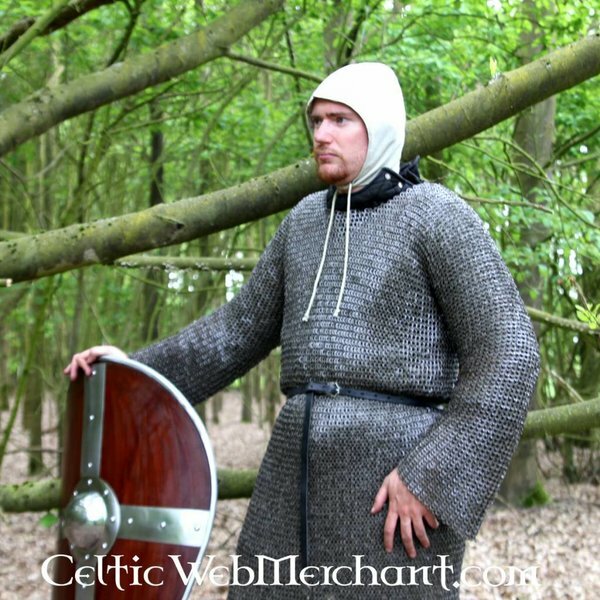 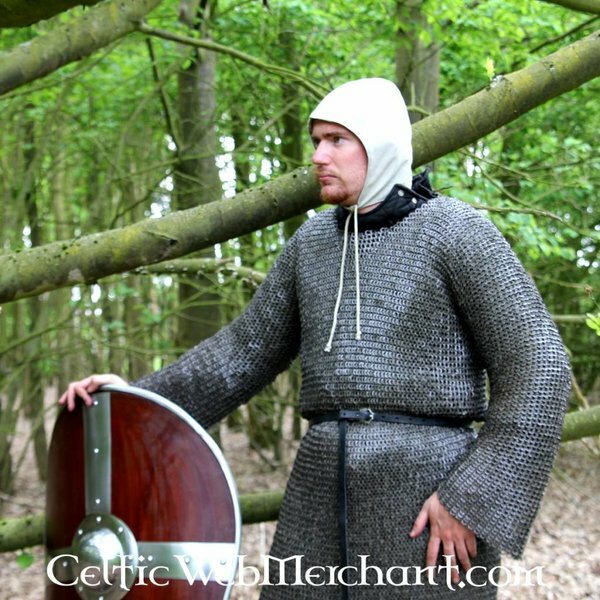 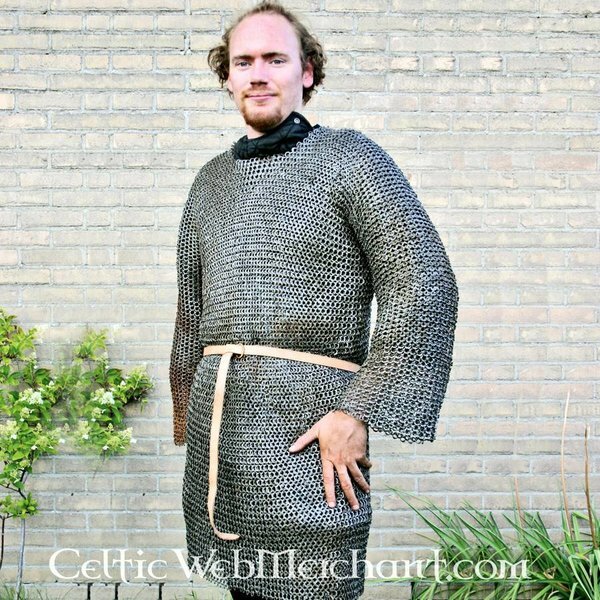 The hauberk has long sleeves and reaches just to the knee.